What can Gano do for you? A better question is: what can’t it do? Think of Gano, or Ganoderma, as the “Swiss Army Knife” of botanicals – it’s all the tools you need for enriched living in one convenient package – and we’ve added it to your coffee! Also known as Reishi and Lingzhi, this 4,000 year-old herb has been called the “herb of immortality” and is commonly used to promote wellness throughout the world. We have a Classic Black Coffee, a creamy 3-in-1 GanoCafe (which we call our Latte), a rich, chocolate GanoCafe Mocha and the latest – a Hazelnut Latte! We also have a special coffee infused with Ganoderma, Tongkat Ali and Ginseng – we call this our Tongkat Ali Ginseng Coffee, and we also call it our PURE ENERGY coffee. Not a coffee drinker, but want the benefits of Ganoderma? Gano Excel is the pioneer in creating Ganoderma extract in its purest form. Ganoderma Lucidum has a well deserved reputation as the ultimate herbal supplement. 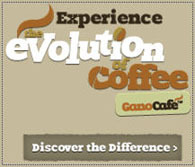 GanoCafe is the evolution of coffee – since 1995, we’ve been committed to our quest for the perfect brew. Gano Excel’s signature line of enriched products is the culmination of our personal journey to bring you a superior cup of coffee that will energize, revitalize and harmonize. The evolution began by enriching everyday products with herbal ingredients to provide better wellness through daily usage. And what sets us apart from other so-called “healthy” products is our “magical” natural ingredient – Ganoderma Lucidum. Gano Excel is the pioneer and foremost expert on the benefits of this amazing herb. Then its time for coffee and breakfast. 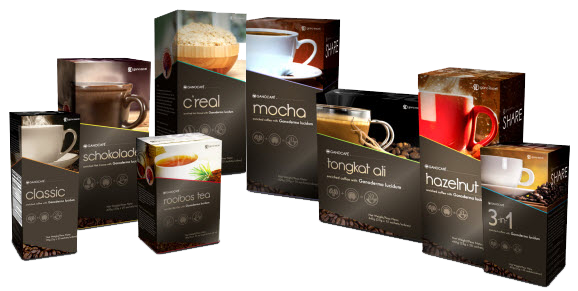 Start with a cup of your favorite GanoCafe Coffee, Pure Energy Ginseng Coffee or Tea. 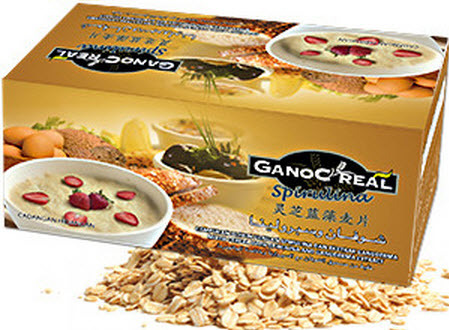 But did you know we have our own special blend of oatmeal enriched with Gano and Spirulina. And it tastes great! Have kids? They don’t drink coffee, but you can start their day off with a yummy cup of our Gano Schokolade, our hot chocolate. Did you know it has been known to have a calming effect on children (and big children too), and has a variety of Gano that is known to help with brain function. Wow – what a great start to your child’s day! Do you take vitamins and herbs? Well this is the perfect time to take Gano Capsules. 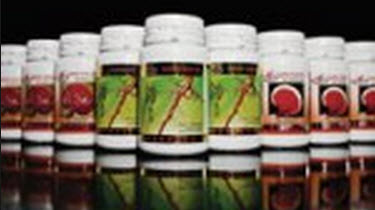 We have capsules with concentrated Ganoderma Extract. Our Ganoderma 90 capsules are pure Ganoderma, made from the 6 most potent varieties of the medicinal mushroom that support all organs of the body. Our Excellium Capsules are made from the variety of Ganoderma that specifically supports the brain. And our Sakanno capsules are a blend of Ganoderma extract and Tongkat Ali. Tongkat Ali is an energizing root, great for naturally increasing testosterone production. Now that 3pm slump hits… don’t you hate that? Well, don’t turn to candy or a red bull – those will only diminish your health. Heat up some water, and enjoy your favorite GanoCafe – Classic, 3-in-1 (latte), Hazelnut Latte or Mocha – or if you really need a jumpstart, make a cup of PURE ENERGY Ginseng Tongkat Ali Coffee – GanoCafe infused with Tongkat Ali and Ginseng – an amazing energy boost for you – without the crash. After you’ve enjoyed your dinner, and are winding down for bed, it’s a perfect time for Gano SOD Tea. Made with a naturally caffeine free Red Rooibos Tea, it has more anti-oxidants than green tea, but without the caffeine, and has been known to help people have a very, very restful night’s sleep. After this wonderful GanoCafe Day, you’re gonna feel GREAT! We know, because this is what our days are like, and that’s how we feel! To great coffee, great products & great health!